Waves reminded me of Richard Linklater’s Before Trilogy (Before Sunrise – 1995, Before Sunset – 2004, and Before Midnight – 2013) — a look at modern love with flair for naturalism. It is an eavesdropping on the intimate conversations of Ross and Sofia who both plunged into love by taking impulsive detours and catching chancy tides, which unwittingly brought them to their feet at the shore. It swells with an unspoken confusion that rippled from the characters, especially that of Baron Geisler’s— in his stellar performance in years. His persuasive and empathic facial sobriety kept the movie alive. It was an unexpected jaunt to Cebu and Palawan’s instagrammable hot spots like the Cansaga Bay in Consolacion, Amara in Liloan, Oslob and Coron Island. The cinematography was the key element of the film’s presentational technique —less dialogue and fewer actors. It is the film’s biggest success. In general, the film triumphs because of its superb technical components with a special mention to the musical scoring, specifically, on the diegetic sound. Sadly, Filipino audience in general still has so much to learn on visual literacy. Our idea of entertaining movies is about something that pops and explodes, a wife confronting the other woman in a slapfest, speeding cars or sloppy and exaggerated physical activities . Unfortunately, these elements are not found on this film. In fact it develops rather slowly. However, like the waves of the ocean, one has to go deeper from the surface to see the beauty of the whales — although not all are ready to dive. The movie is set for a commercial run. More details to be announced soon. 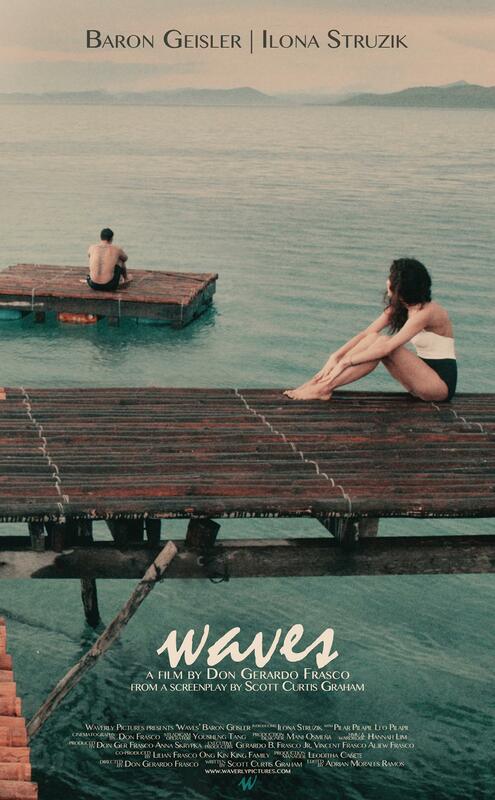 Waves is the young Cebuano, Don Gerardo Frasco’s directorial debut on feature-length filmmaking. He is the founder of Waverly Pictures. He deserves the support of all Cebuanos for his commendable talent and enthusiasm. This work shall be a significant contribution to Cebu’s claim in the global filmmaking industry. Waves – Official Trailer – Waverly Pictures from Waverly Pictures on Vimeo.